James Shields is born in County Tyrone. He emigrated to the United States about 1826. The Democrat Shields served as a U.S. Senator for three different states: Illinois, Minnesota and Missouri. 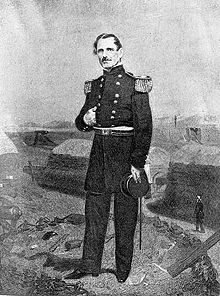 In addition to his political career, he also fought in the Mexican-American War and also the Civil War where he led the 2nd Division of the V Corps, Army of the Potomac. Richard Mulcahy (d. 1971) is born in Waterford. Mulcahy played a critical role during the War of Independence and the Civil War. 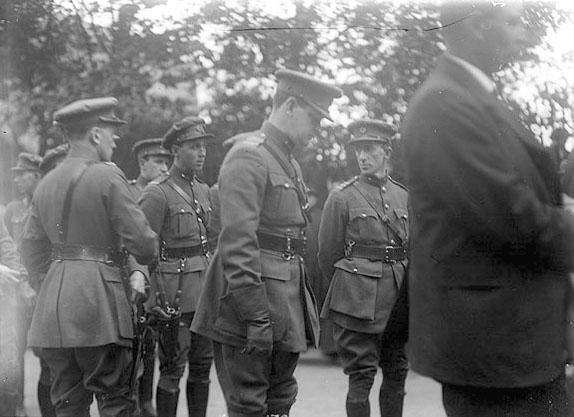 He fought in the 1916 Easter Rising, served as Chief of Staff of the Irish Republican Army during the War of Independence and became commander of the pro-treaty forces in the Irish Civil War after the death of Michael Collins. He was a brutally effective leader. His order that anti-Treaty rebels be executed (many of whom fought with him during the War of Independence) provoked bitter emotions, but hastened the end of the Civil War. After the Civil War, he was a prominent member of Fine Gael, leading the party between 1944-1948. He was Minister for Education 1948-1951. Paul Hewson – Bono is born in Dublin. 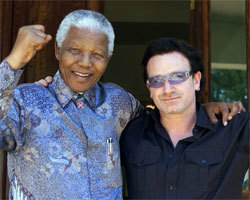 The U2 frontman and human rights activist started the band with three school friends, Adam Clayton, Dave (Edge) Evans and Larry Mullen. Bono’s effervescent personality and his songwriting partnership with guitarist Edge has made U2 one of the most successful bands in Rock history selling more than 100 million records worldwide. His efforts to alleviate poverty and AIDS in Africa win him worldwide acclaim and audiences with the likes of Bill Clinton, George W. Bush, the Pope, Nelson Mandela. He has been particularly astute in maintaining good relations with both sides of the political divide in US politics. Constitutional amendment is passed by public vote approving Ireland’s entry into the EU (then EEC – European Economic Community.) 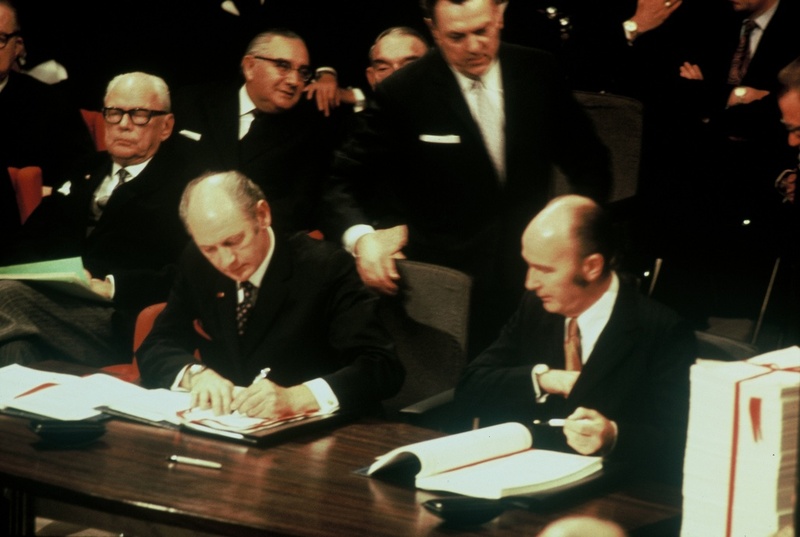 The previous January, Taoiseach Jack Lynch signed signed the Treaty of Accession ensuring that Ireland would join (after voter approval) what was then the European Economic Community.